The rest of the story is fuzzy, which is fine since it doesn’t pertain to this blog (but, we did make it to my Aunt’s, whew). Point is, you can imagine how peeved my dad was by the inconsistent directions and advertisement of the nearest gas station, especially due to the circumstances. We didn’t have the luxury to waste gas. 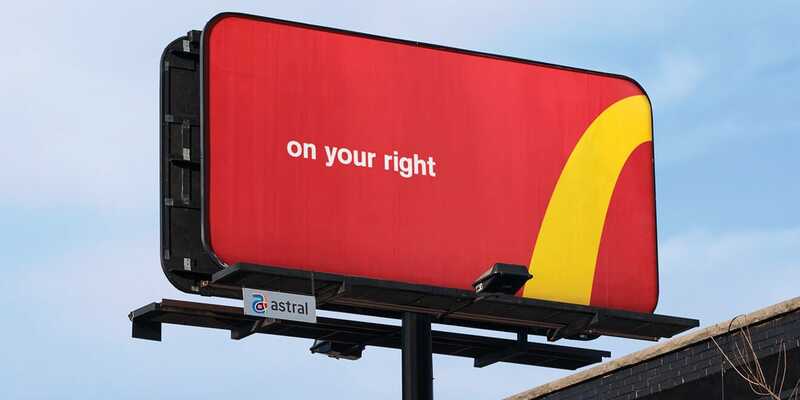 This past winter, McDonald’s noticed that its billboard signage and directions to its nearest restaurants throughout Canada were remarkably inconsistent. Recognized this glaring problem within their branding and marketing, they came up with a genius solution. 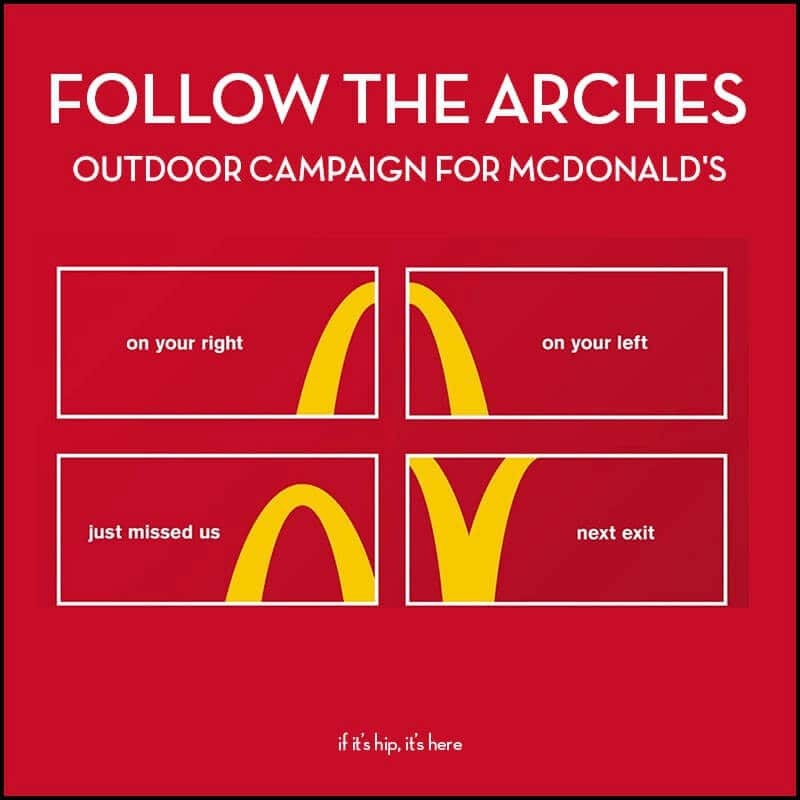 Created by their agency Cossette, they launched the, “Follow the Arches” campaign. Yes, McDonald’s is a worldwide brand. Yes, McDonald’s is one of the oldest brands. Yes, McDonald’s is one of the most recognizable brands from continent to continent. But, that doesn’t mean this case study isn’t applicable to any other business. You could be working for an established, large company or running your own small business. Regardless, one of the worst things for a business and its brand is inconsistent branding and advertisement. Like, the existing, non-existent gas station (see above if you have already forgotten). For McDonald’s, it was an unnecessary and avoidable loss. But with a little branding and a lot of ingenuity, they were able to turn a negative experience, into a great brand moment! 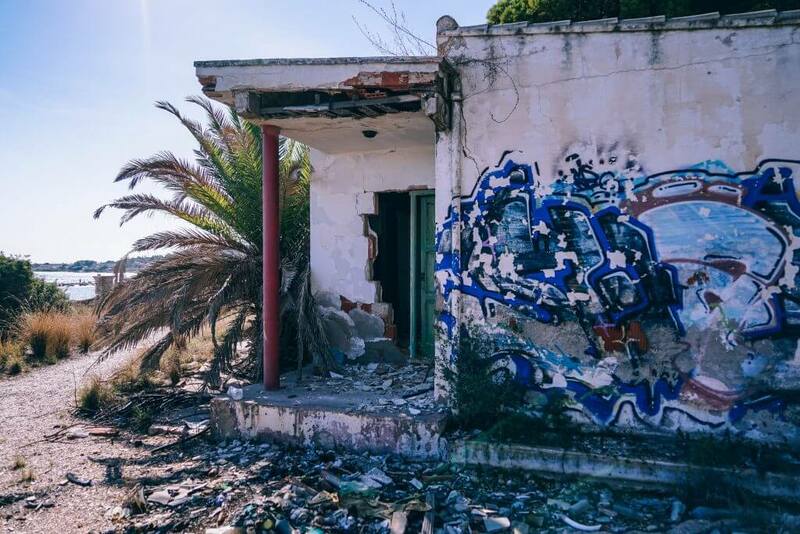 This entry was posted in Brand, Commercials & Advertisements, Fun and tagged brand identity, brand messaging, campaign, Canada, marketing, McDonald's. Bookmark the permalink.